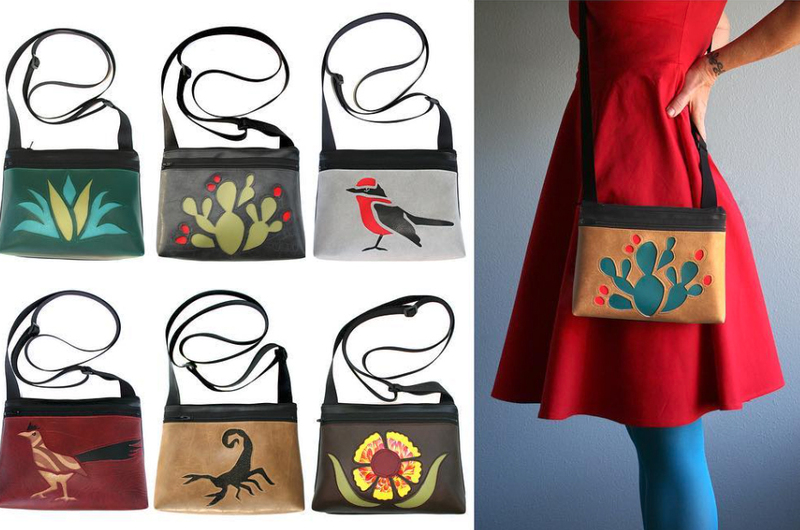 Purses with Colorful, Quirky Patterns & Nods to What Makes Texas Great. 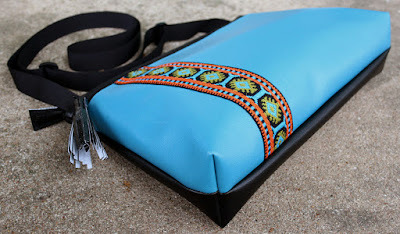 Passion for Sewing Fun, Functional Items Turned Into a Creative Business. If you've been following this blog for a while, you've probably already seen me mention Liz Potter, a local photographer holding on to the almost lost art of medium format. 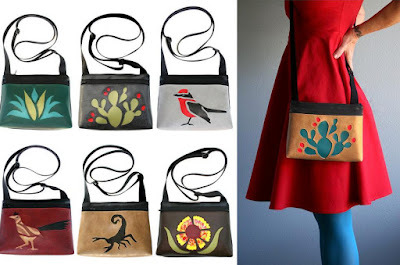 While I don't normally write two posts about one artist, it was only fitting that I give Liz another shout out for other talents that she's nurtured and turned into successful handmade business ventures - Bolsa Bonita & The Wonderful Adventure. Aside from her love of photography, Liz is also quite passionate about sewing. She is driven by the opportunity to make something useful that is also beautiful. 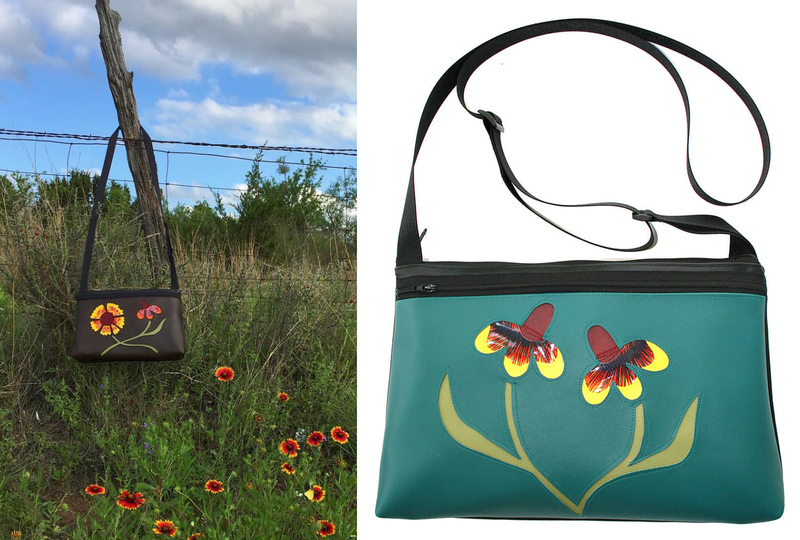 All of Liz's purses are made with durable fabrics and lots of pockets so they fit nicely into an active lifestyle. But unlike most utility goods, Liz's pieces are also full of personality. 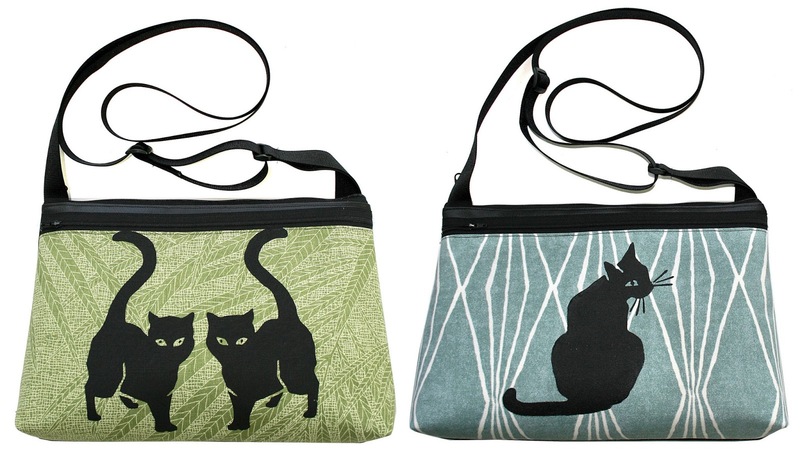 She seeks out colorful patterns to grace her purses, from the simpler checked options to those with animals and characters. I personally love her unique line of cutout style bags with carefully curated colors peaking through the design. 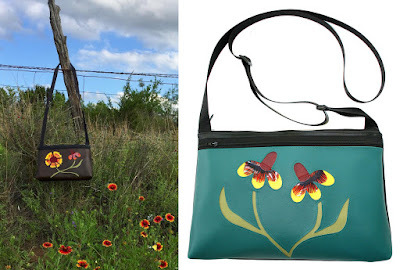 Many of the motifs she favors tend to highlight Texas flora and fauna - cacti, succulents and bluebonnets, rattle snakes, roadrunners and jack rabbits, plus references to the melding of Texas and Mexican culture. She is always testing out new ideas and coming up with fun variations on her characteristic style. 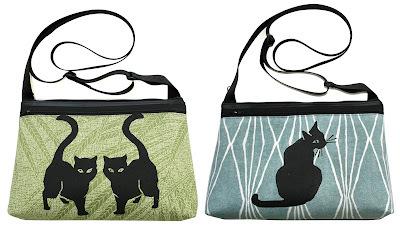 In the last year or so, Liz has further developed her printmaking skills and started printing on bags for added flair with hand carved blocks. From there she has incorporated skirts, wall art and more. Her subject matter still revolves around the themes she is known for and includes the same level of quality. Liz's pieces are one-of-a-kind statement accessories that you can wear with any outfit. If you have the same sense of adventure as Liz and a desire to share your personality through functional art, Bolsa Bonita has you covered!